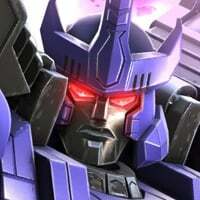 First, what's the best way to spend energon that I'm getting, buy the 3-5 bot crystals, buy masteries, or wait for deals? Looking at the masteries, it looks like a lot of the better ones are pretty expensive energon-wise. Are there some must-have masteries, or should I just look to spend the points I get relatively cheaply? Secondly, what are the rewards like for alliance missions? Wondering when exactly I should be looking to join an alliance. Finally... Why do people seem to like Megatronus? I pulled him as a 3*, and sure he has a little utility, but he actually gains power slower than my other bots, which makes his damage output just feel kinda low. Am I missing something? Really enjoying the game so far! Not typically advice but if you're aiming at progress in no time, this game isn't what you're looking for. Plan for 6 months to really feel it. Therefore, spend slowly your energon at the beginning even if you can afford it. Masteries aren't a must especially when you just have 5 points (at lvl 23). Energon costing masteries are on the right side of their respective charts so you need at least 11 points to get there, which is 6 levels away. When the day comes, search "mastery setup" on the forum and there are some great showcases and advice. Since you need to build your roster at the beginning, try the 3~5 crystals but preferably once per week. There are many other ways of obtaining bot chips (crystal bounty, raid store, special missions, alliance events) without spending. You should join an alliance in no time because it's the greatest way to merge yourself into the game. Megatronus is god-tier. His power flow may seem slow for you at the beginning, but you'll get the hang of it. He has decent output through his heavy with relic of fury on, decent harm reduction and health boost with relic of obedience and with special 2. Thanks for the good info! Looks like I'll be alliance hunting then. 2. Basically the stuff u get for completibg spotlight missions. 3. 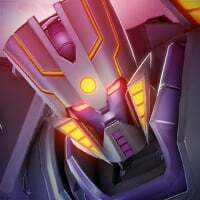 Megatronus is a god at high level... literally. 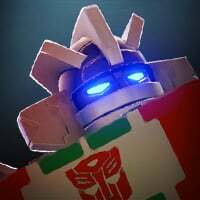 Considering you're at level 23, I'd recommend buying Premium Bot Crystals with your Energon, as at your current point it should be relatively easy to make back your spent Energon. Once you've gotten your desired team, you can start working on Masteries. I don't actively take part in Alliance Missions, so I can't really give you advice about that. As for Megatronus, he's one of the most versatile Bots in the game. His abilities include Life Steal(transferring some of the opponent's HP as your own), passive Power Gain(gaining Power without landing any hits), Armour Break(self-explanatory), Stun(also self-explanatory) and a few others. 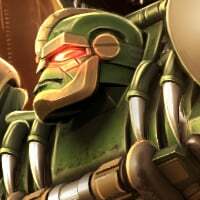 He also basically becomes invincible for 10 seconds at low health, and his Heavy Attacks deal extra damage(via an effect called Dark Burn) aside from the already insane damage he deals. Yes, he's overrated, but he's a really good Bot that can hold his own in most situations. Spending energon on Premium Bot Crystal is highly not recommended. Better spend energon on good deals. Look for deals in store, buy items like Premium Bot Crystals with raid chips instead. Raid chips can be earned from Away Missions or Raid. To earn gold, you can always replay the story within the act. The difficulty does increase with each act and chapter; as your roster gets better over time, you will be able to conquer the acts and chapters. Another reason to replay the story is to earn XP to help level up. As you get to more difficult acts, the XP is about 1.7K to 1.9 per bot. Spending energons on crystals is not always the best investment. There is no need to rush. You definitely want to aim to reach level 40 for daily elite crystal. I have started playing about mid-September 2018, reached level 51 recently. Joining an active alliance gets you into alliance events and missions. The daily events can earn you Premium Bot shards towards Premium Bot Crystals. I have stockpiled on Premium Bot Crystals joining an alliance. There are rewards for missions and for reaching milestones as a group. There are also "map" specific awards which give shards, chips, or gold. It is good practice too. Do daily arenas if you can, this will earn you arena crystals which will earn gold and energon. Try to hit the milestones. On a lazy day, I just hit 50K milestone. On a good day, I hit 320K milestone. Crystal bounty is usually very active amongst players. Megatronus is the Pope. KillMasterC already covered Megatronus. 3* version of Megatronus was on my original AM squad. 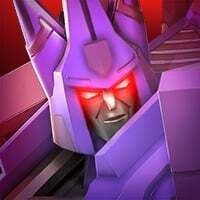 Now I am working on leveling and ranking up 4* version of Megatronus. Hope to bring him back onto AM squad. 1. Save your energon. Don't buy crystals wait for cheap deals. 4. It's just a game. No need to spend like crazy. 6. Rank up few bots at a time and focus on your favorites and build your teams. 7. Play spotlight missions for the rewards. Get to highest difficulty you can and then go back to story mode. Story mode will always be there. 8. 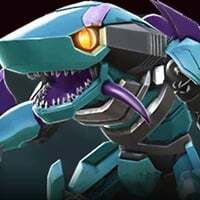 Save up the generic bot chips for your favorite bot as a 5 star. For now 5 stars are the hardest to come by all the other ones just open the crystals you accumulate just from playing the game. 9: Login everyday to get calendar rewards and do the daily objectives done. 10. Don't forge your bots yet you need them to get points in the arena. EDIT: nevermind that I didn't see you said "yet"
I’m a converted man on megatronus, and I know what was bothering me before now. As I’m getting to fights in the medium spotlight difficulty, and 7k rated raids, the AI has changed. It’s much harder to constantly play aggressively now, the hits come slower so I’m gaining power slower too. And in slower fights, that power gain is dope. And his sp2 hits like a TRUCK with the attack relic. I still might like scorponok more, but megatronus is definitely holding his own. If you can get line I can send u some vids!